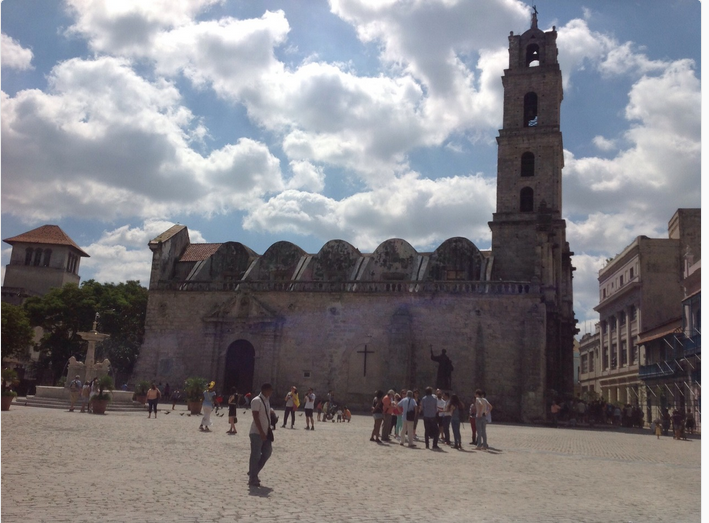 Numerous classmates participated in a trip sponsored by Princeton Journeys, the educational travel arm of Princeton's Office of the Alumni Association: Cuba Interactions With The Class of 1972. This once-in-a-lifetime opportunity to participate in an educational exchange was made possible through the granting of special permission of the U. S. Department of the Treasury which has accepted the Office of Alumni Association certification that every participant had a full schedule of educational exchanges across a broad cross section of Cuban citizens who represent the rich cultural traditions of this island nation. Participants mingled, interacted and exchanged with individual students, professors, artists and professionals. Grif Johnson provided a blog on the trip here. Password is Cuba. Linda Martinson (classmate Andy Stratton's spouse) provided Glimpses of Cuba here and Candid Photos of the trip here.